-JdK- And another one from the archives of the Bibliothèque nationale de France. This line up - from left to right - shows, according to the caption: (19) Hassall, (23) Hollowell, (14) G. Walker, (6) Shaw and (22) Francisquet. 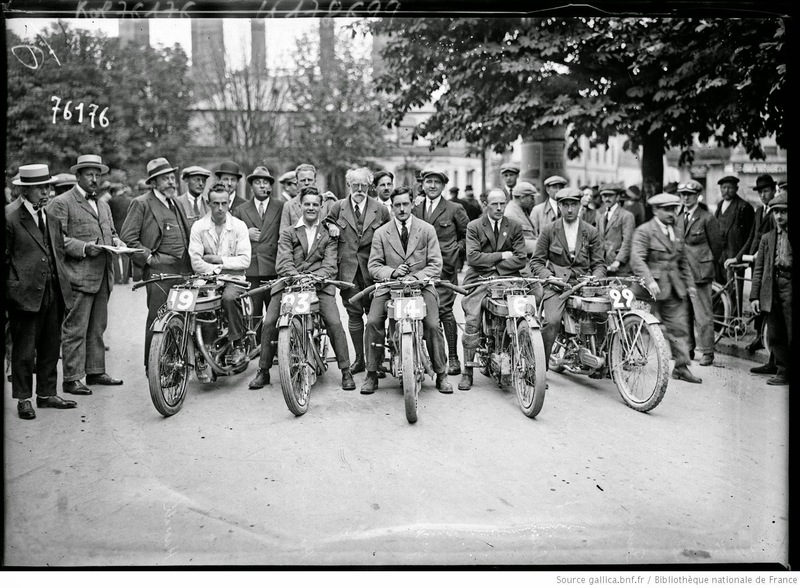 The photo was taken on the 11th of July 1922 at the Grand Prix des motocyclettes de Strasbourg. The four guys on the left have a Model 18; Francisquet got a 16H. James Norton is seen with his hand on Hollowell's shoulder. Walker did not like bar-end levers.